There are no “show times” at Irukandji as every visitor receives a guided journey through the Attraction. 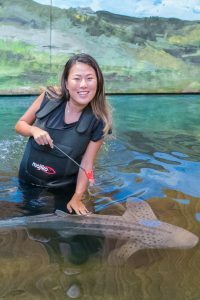 Your journey today may be from the sides of the tanks where you get to feed and pet our fish family, or you can choose to get in the water with them and have a very close encounter. 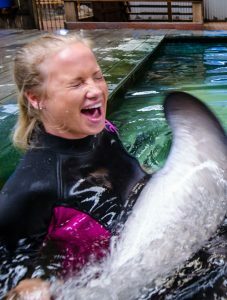 The Fiddler Rays love to sit on your lap and how about immersing yourself with a 300kg Sting Ray?! Visitors are welcome any time from 9am – 5pm daily. During winter hours, the quietest times to visit are on weekdays or prior to 12pm or after 2pm. During summer hours, the quietest times to visit are on the weekdays or prior to 10am or after 3pm. Note: You need to leave yourself at least an hour for your journey so arriving after four is not advised.